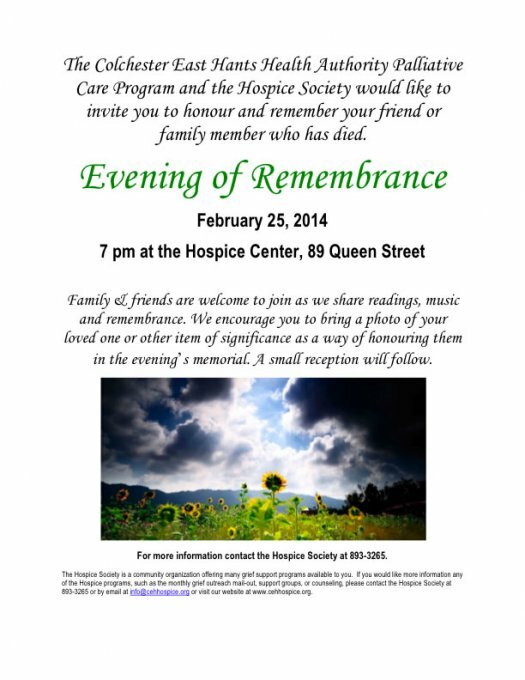 Family & friends are welcome to join as we share readings, music and remembrance. We encourage you to bring a photo of your loved one or other item of significance as a way of honouring them in the evening’s memorial. A small reception will follow. For more information contact the Hospice Society at 893-3265.